Errata Editions – http://www.errataeditions.com/ – was founded in 2008 by Valerie Sonnenthal (Publisher), Jeffrey Ladd (Creative Director) and Ed Grazda (Editorial Director). 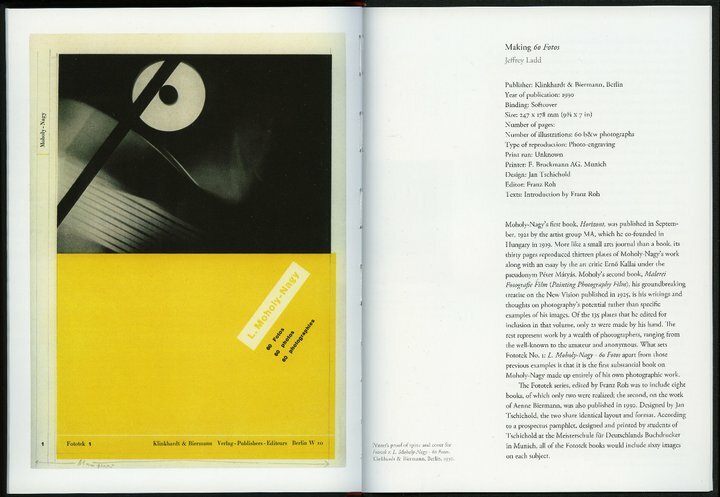 The Errata Editions books have been donated to the ICP Library by the amazing bibliophile Frank Arisman. Jeffrey Ladd (Errata Editions Creative Director) started 5B4 in 2007 – http://5b4.blogspot.com/ – which is a Photography and Books website dedicated to discussing and reviewing photography and art-related publications. He is a teacher at the ICP and an established and respected photographer/artist and writer. Since 2008 Errata Editions have been producing a Books on Books Series which is an on-going publishing project dedicated to making rare and out-of-print photography books accessible to all individuals and photobook enthusiasts. These books are not reprints or facsimiles but complete studies of the original books. To date Errata have produced 12 books in three sets of four books. Series 3 – Books on Books #9-12 – released Spring 2011. MC: When did this idea first come about? 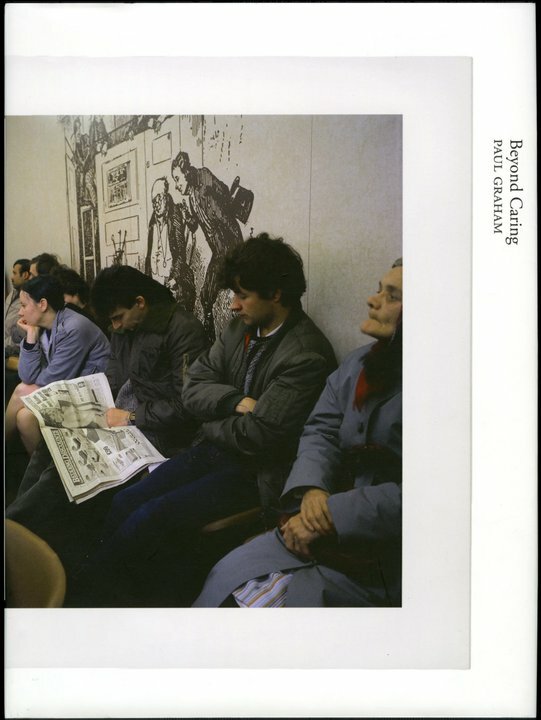 JL: For several years I had been increasingly disturbed about how the majority of what has come to be recognized as the greatest examples bookworks created in photography had been long out of print and become increasingly unaffordable to most people that might want to learn from them. I think it is important to make this history accessible and not just have it hidden away on a few privileged collector’s shelves. MC: How long before 2008? JL: In 2007 I had an idea to create this series and was planning on taking it to an established publisher. Luckily for me, the person who I had made an appointment with had to reschedule our meeting. I told my idea to Ed Grazda whom I had become friends with and he mentioned his partner Valerie might be interested in backing the project. They had previously planned on publishing some artist books but my idea seemed like it would have a much broader audience. Soon there after Errata was born. MC: Do you already have the next series in the pipeline? JL: Yes, I am always working a year in advance to have the books for a Spring release. MC: How is your publishing enterprise funded? Our initial funding came by way of a loan and all of the revenue from sales goes towards the production of the next books in the series. This year we are starting the next phase of our plan which is to turn Errata into a 501 (c) 3 Non-profit organization so I can approach foundations for funding and explore other revenue sources to make the series sustainable. As most people know, book publishing is an extremely difficult business and we need to be creative since we are pursuing a tight schedule of releasing four books every year. MC: Errata editions – how are you structured? JL: Valerie has the title of Publisher, Jeffrey Ladd is the Creative Director, and Ed Grazda is an Editorial Director. I do most of the work on the series lining up titles, clearing copyrights, finding writers, laying out the books, photographing some of the books, and preparing everything for printing. When it comes time to go to press I also travel to oversee all of the printing. An important contribution is also from Robert Hennessey who does the scanning and separations work on the digital files. He is the mastermind behind determining what our reproduction strategy will be for each book. MC: Do you have a mission statement? JL: Our mission is simply to examine and preserve the history of bookmaking in photography. My hope is that this series will enable a discussion to take place about these works that will encompass a variety of voices. It is not about a few voices dictating what is to be considered “great” but for people to make up their own minds about these objects. Until you are capable of seeing what was inside the books, you can’t really take part in an active discussion. MC: The photographic book market is a niche market. How would you describe your target audience? JL: Our audience as I can see it, is a mix of book collectors, students and libraries. MC: How do you set about getting the word out? JL: We spread the word about the series with help from our distributor DAP, our Errata Editions newsletters, my blog 5B4 photography and Books and other blog sites. The books have been reviewed and the series featured in magazines. I also have been getting invitations to speak on the Errata books at various photobook related festivals. Since we do not have a large budget to pursue traditional advertising we have to be creative. MC: You produce a trade edition and a limited edition – do you feel that you have two separate markets for your books? JL: The limited edition sets we distribute directly through the Errata Editions website are important to the financial life of the project by enabling us to start the production on the next set of books before any revenue from the trade editions arrives. Due to the way distribution payments are scheduled, there is a four month lag in receiving payments from trade edition sales. For the consumer, the cost of our limited editions isn’t much more per book than the trade editions but the limited editions aren’t sold individually, they can only be purchased as a four book set. The people who pre-order those limited edition sets I think know that their purchase is going a little farther in supporting the series to continue. MC: What are the important seasonal dates for Errata as the publisher of photobooks? JL: So far we have stuck to having our release dates for the four books scheduled in the Spring of each year. MC: How does the year pan out? JL: I leave a full year for the production of the four books. For a Spring release (which according to traditional publishing schedules is actually in February) I have to have the books finalized, blue-lined and ready for press before October of the previous year. I usually go on press in China in early November. The printed and bound books arrive to our distributor’s warehouse and are processed into the system by mid-January. MC: How key is the frequency of your publications? I believe it is very important to keep people following the series and anticipating future titles. MC: How important is it to establish your company as a publisher of quality books? We could produce our books on a much cheaper budget if we were willing to skimp on quality but I doubt the artists I approach would be as willing to have their works featured in our series. I want to produce the best books I can to honor the work we feature and make it available at the most affordable price. MC: How easy is it to complete your book projects on time? JL: It goes without saying that producing one book is difficult let alone producing four at a time. That said, since our books are a uniform series, it is a little easier. I have been able to bring the books in as scheduled so far with only slight delays due to writers needing extra time to complete their essays or last minute editing. MC: What printers do you use? We have been using C+C Offset Printing Company in Shenzhen Province, China. They have been a popular choice for art book and photo book publishers such as: Nazreali Press, Aperture, Abrams, Loosestrife Editions and many others. MC: Do you ever run into manufacturing difficulties with a particular book project? JL: Any type of manufacturing is not an exact science. Perfection is sought but within producing a couple thousand books you will find flaws. The only flaws I have encountered with our series are with the special edition covers which feature a reproduction tipped into the bookcloth. These tip-on images are glued by hand and in the past we have had a problem with a small number of copies where the tip-on is incorrectly aligned. Unfortunately when this mistake happens, the entire book is unsellable so we have stressed C+C for better quality control at this stage of production. MC: What are the attributes of your books? How do you determine them? JL: There are certain criteria that determine whether a book will be pursued for the project. 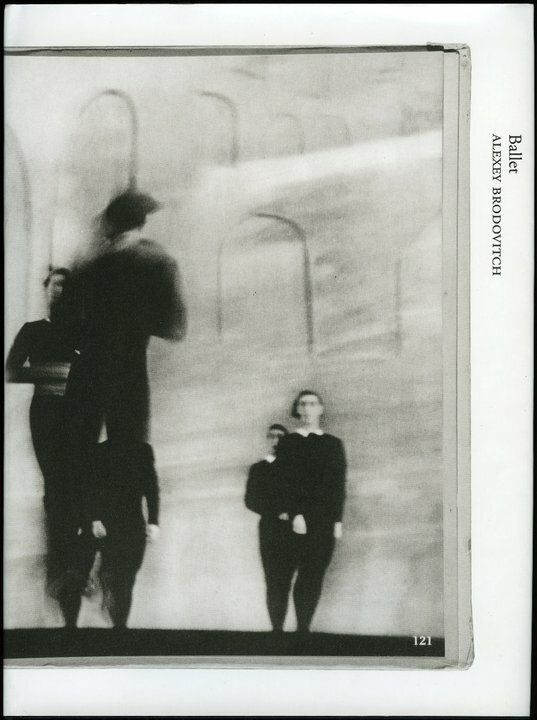 The first is, that the book be a significant and recognized contribution to photography and/or bookmaking. Secondly, the title has to be out of print and relatively hard to find (or unaffordable which is usually the case). The third criteria is that the artist has been hesitant to reprint the book. As I have mentioned, our series is really targeting books which will not be reprinted. We have a long list of books which we want to do in the series and that is where the curatorial decisions come in. I am trying to make interesting choices of which four books we do at a time. I am trying to present a mix of classic and contemporary, known and unknown, and present them in interesting relation to one another. For instance, one theme in our second set was the examination of four cities; two examine the city in metaphoric terms (Klein and Takanashi) and the other two examine regions politically (Goldblatt and Wessing). The latest set sit two books next to each other which are about waiting and people out of control of their circumstances (Graham and Tmej). 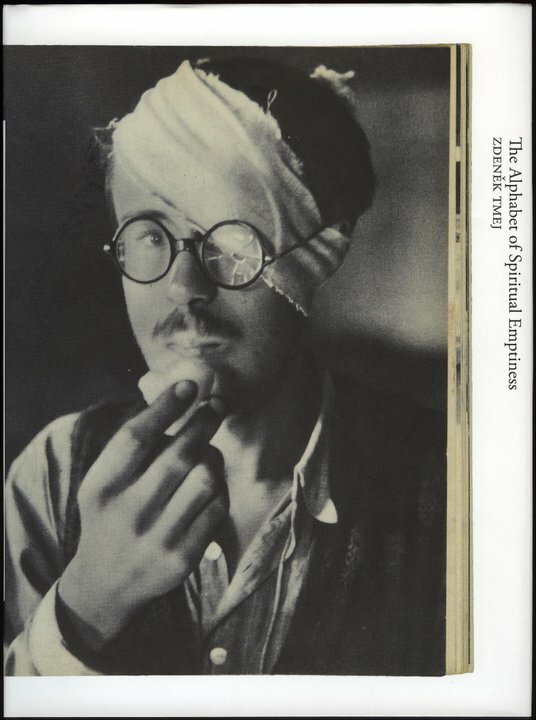 The other two titles from that set start examining artists who were pushing the descriptive boundaries of photography through experimentation (Brodovitch and Moholy-Nagy). I hope to continue curating the series in this way to bring about a slightly different perspective of the history of photobooks than the usual chronological view. MC: They are all currently the same size and format – will this always remain the same or will this change over time do you think? JL: I carefully chose the size for reasons of production cost. I want to keep the price point as low as possible without sacrificing quality. Our trim size is the largest we could print on the size sheet we use without jumping to the larger paper sheet size. That would have increased the cost of our books and created a selling price that would defeat our purposes. The size and basic form will remain the same throughout the series. The idea is a basic uniform reference library. MC: How would you describe your books? JL: I describe my series as “studies” of photobooks. They are not reprints or facsimiles and I think many people that have described them as such are lending to confusion. I admit, what we are doing is a rather quirky concept which hasn’t been done before so many people are confused about how to describe them. MC: Do you really have any competitors yet? JL: We don’t really have competitors as no one else is doing what we do. Part Two – to follow soon, where Jeff will discuss copyright, the future of publishing and the blogosphere. This entry was posted in Interviews, New Acquisitions, Unpacking the collection and tagged Books on Books, Ed Grazda, Eratta Editions, Jeffrey Ladd, Photobook publishing, Robert Hennessey, Valerie Sonnenthal. Bookmark the permalink.